While doing your taxes may not be much fun, this year there are loads of incentives especially for small business that could make it seem a little brighter. The Small Business Job Act, passed last September, and ACA (Affordable Care Act) the health care reform law, passed in March, enacted hefty credits and deductions for capital investments and employee health insurance costs. Here are new credits and deductions that will likely affect your small business. Health care tax credit: Small businesses that pay at least half of their employee’s health coverage can get a substantial tax refund. Ask your Accountant or tax professional for more information on how to go about doing that and how that helps your bottom line tax liability and refund. Section 179 provision: This may be a little tricky, ask for professional help if you have any questions in navigating the tax code. The extension of Section 179 of the tax code allows businesses to write off the full amount of qualifying equipment or computer software made in 2010 or 2011, up to $500,000 per business, per year. What qualifies? Think big, some examples include:tractors, robots and equipment. New and used items are also eligible. Instead of having to deduct your capital expenditures slowly, the change to Section 179 allows businesses to get more cash up front. You can only take advantage of the full Section 179 write-off if your small business had a profit. It can not be used to increase or create a loss. Bonus depreciation extension: For 2010, there is an accelerated depreciation schedule: This allows for money to get to the hands of small businesses quickly. Unlike Section 179, you can depreciate items even if your business has not shown a profit for the year or is even a loss. Bonus depreciation covers new equipment only, and can be taken in addition to a Section 179 write-off, if the item is eligible for both benefits. You can depreciate tangible property, for example: buildings (not land alone,) machinery, vehicles, furniture, and equipment, as well as intangible property, i.e. patents, copyrights and computer software. Depreciation on a business car or truck: Did you buy a new car, van or truck for your business last year? For 2010, business owners who buy and use a brand new passenger vehicle will depreciate much more than usual — $11,060 for a car, and $11,160 for a light duty truck or van. That includes an extra $8,000 bonus depreciation, on top of the usual first-year depreciation. If you buy an SUV or heavy pickup, the rules are slightly different, that is worth asking your tax professional. Boiled down, if you have to calculate your taxes under both the regular tax structure and under the AMT, you pay the IRS whichever one is more. If your taxes calculated normally are $10,000 and $12,000 under the AMT, you owe $12,000. 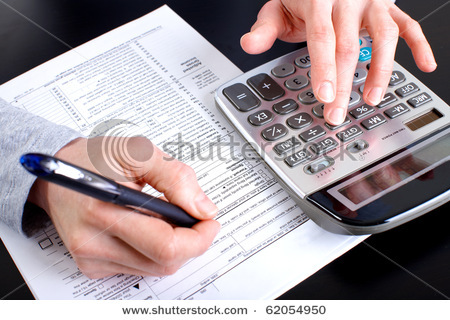 Usually, general business credits do not apply toward the AMT calculation. But for 2010, deductions included in the “General Business Credit” part of the tax code are also allowable under the AMT. There are a couple dozen credits in this category: Some that might impact small businesses include a benefit for hiring someone unemployed (also check with your local Department of Labor for other benefits some are monetary compensation,) the costs for starting up an employer pension plan or the costs of employer-provided child care services. This entry was posted in Money Saving Tips, Small Business, Tax Tips and tagged Affordable Healthcare Act, Ahorro, Budgeting, Cost Cutting, Current Events, Economia, Economics, Economy, Educacion Financiera, Familia, Family, Financial Education, Financial Independence, Finanzas, Impuestos, Independencia Financiera, Invertir, IRS, Money Saving, New Tax Incentives, News, Noticia, Politico, Politics, Saving, Small Business, Tax Benefits, Tax credits, Tax Deductions, Tax Tips, Taxes, Tips for Savings, Trabajo, Work. Bookmark the permalink.